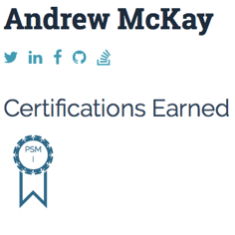 During my never ending post-MBA job search one of many suggestions I got was to do some certifications. I always said I was willing to do certifications in job interviews and even started the CFA® program while I was unemployed. However, in order to do the PMP you need to be actively working as a Project Manager, but I eventually learned you can do other project management certifications while unemployed or not working as a PM assuming you have the money. Considering all the difficulties I’ve had over the last 10+ years I probably should have looked more closely into doing certifications easier than the CFA program sooner. I did spend a lot of time studying and coding on my own a fact revealed if you review my resume or this website. Eventually in April 2018 I took a week out of my life and my CFA studies to fly to Hong Kong to study to be a Professional Scrum Master™. Hopefully that will finally lead to a better job, I assure you I am willing to relocate. One of the original instructors had to drop out but thankfully the class was not cancelled. Lorenz Cheung instead taught both days at Cliftons Hong Kong. I had to take the time off work and already waited too long for this or a similar class to be taught in English in Shanghai. 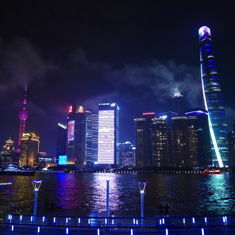 Bill Li teaches in Shanghai but the classes never seem to be in English. The course counts as 14 PDUs towards the PMP and you can write the Professional Scrum Master™ I (PSM I) assessment and then go on to the PSM II and even the PSM III assessment. I think I already have some PDUs from my time at Carlson Wagonlit Travel from a Franklin Covey project management course and possibly from elsewhere. I have many years of software development experience completing numerous projects from RFP, through specification gathering, coding, deployment, and ongoing maintenance. I’ve held just about every role including: business analyst, DBA, systems administrator, developer, tester, PM, and product owner. I don’t know if I’ll ever do anything with my PDUs, I just want a job. After the course I enjoyed a few days in Southern China then it was back to reality and studying as I still have the CFA Level 3 exam on June 23rd. You can verify I passed the exam by visiting my profile on Scrum.org if the screenshot is insufficient. If you have any questions or comments you can leave them below. This entry was originaly posted on April 19th, 2018 , it was last edited on April 17th, 2019 and is filed under: Information Technology and tagged: Project Management, Scrum, Scrum Master, Self Marketing, Software Development.